This truth is not just academic for Halim, but hard-won alongside founders, many of whom he’s coached since they were barely more than a founding team. Reboot’s Halim has helped a team of six grow into a now famous startup that’s 300+ employees strong and valued at more than $1.5 billion. 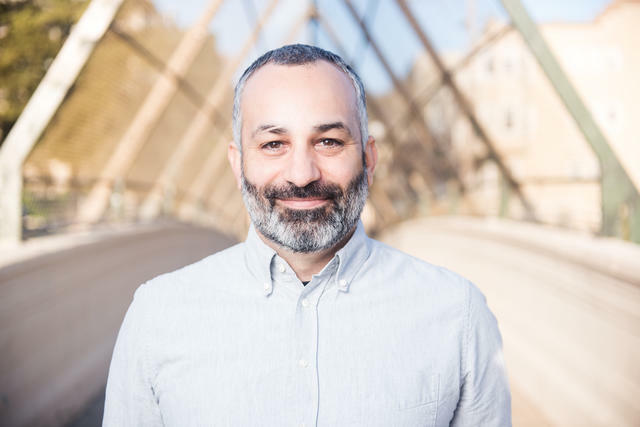 He’s coached an executive team as its startup grew from under a 100 people with a $300 million valuation to a 1,000-person company valued at more than $5 billion. In this exclusive interview, Halim pulls at the strings of this scaling-and-breaking phenomenon to articulate what he calls the law of startup physics. He explains how companies and people grow at different rates — and what this tension means for how both will break while scaling. Halim shares how he’s seen this law apply to both executive teams and to founders, including the truths each must accept and the promises each must make. The VCs that work with Halim have played back to him how the founders that abide by this law can save themselves and their teams much heartache and stress — speedbumps that can cause any startup to decelerate. These are the types of comments that makes the day for any executive coach — and exactly what Halim heard last fall from a few venture capitalists. They had approached him, asking why the CEOs with whom he worked with from their portfolio were more resilient, level-headed and on a better growth trajectory than some of their other founders. Halim took the compliment, but couldn’t pinpoint a common thread, given his approach is not curriculum- or framework- based but to simply discuss whatever is top of mind for his clients. The law of startup physics: humans grow linearly, companies grow exponentially. 1. Your startup will outpace most of its executives if it starts to grow. Both of these options are painful on many fronts: for founders, their early executives and the rest of the team. It’s also very likely to happen if founders don’t have foresight to have a more proactive conversation about a tour of duty earlier. This is where Halim has helped many of his founders, urging them to make a promise with their senior leaders as soon as they onboard. The double-edged truth of the fast-scaling startup: If the company grows as it should, it will outgrow many of its people. 2. The founder is biological, too, but this law doesn’t apply. At the end of the day, the law of startup physics has everyone leaving the building — whether that’s the executives whom the startup outpaces or the founders who need to disconnect to recharge, reinvest and reintegrate new inputs into their vision. All of this happens because humans grow biologically and linearly, and startups are geared to grow exponentially. However, it doesn’t mean that this tension leads to fissures. With every early employee and executive, have a conversation about their last day on their first day. Make an explicit pact around their growth, the company’s growth, how they must connect, and how one day they won’t. Outline the options you’ll explore at that point. If you’re a founder, recognize why you’re the key to exponential growth at your company, and why that makes your tenure different than everyone else’s stint. You must also get out of the building, both to get inputs to extend the vision of the company and to set an example for your team. Schedule date nights and vacations — and stick to them as fiercely as a launch date. Your company — and people — depend on it.